It comes as no surprise that the French railway operator SNCF is the largest consumer of electricity in the country—it takes a lot of megawatts to power 500 superfast TGVs* and countless regular electric trains. Steelworks come in second; they, too, need considerable power to operate the induction furnaces that melt the metal before it is formed into ingots. 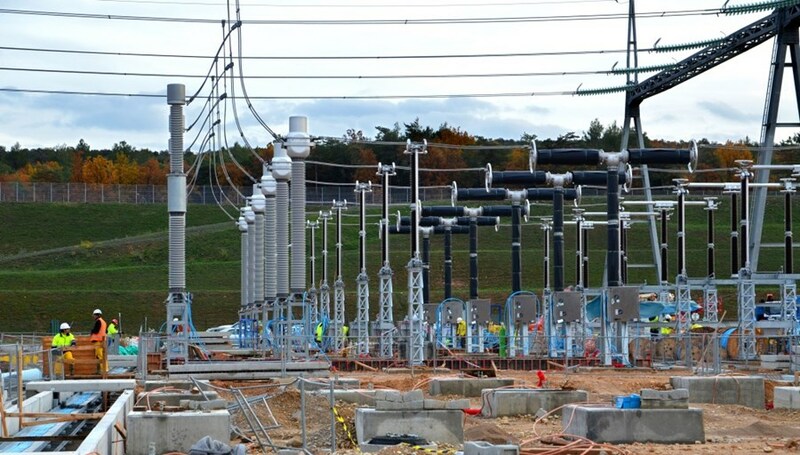 Work is underway to prepare for the ''energizing'' of the 400 kV switchyard. When ITER begins full-power operation, its electrical consumption will be comparable to that of a large steel mill. And the ITER Organization will be billed at the same level: at today's rate, which is on the order of 50 euros per MW/h, ITER's electric bill will amount to approximately EUR 2.5 million per month. ITER needs electrical power in two different forms: DC current for plasma operations (power injection into the magnets, plasma heating, etc.) and AC current for the industrial auxiliaries of the installation such as the cryoplant and buildings. The Pulsed Power Electrical Network (PPEN) will deliver power by way of three giant transformers (procured by China) and a set of powerful AC/DC converters hosted in the Magnet Power Conversion buildings. A plasma shot will require an input of 300 MW—equivalent to 35 TGVs powered up for departure. Four US-procured conventional transformers, of which only three will be operating at a given time, will feed AC power to the plant systems and buildings. Out of 100 MW required, the cooling water system will be the largest client (40 percent), followed by the cryoplant (30 percent), building services and the tritium plant (10 percent each). Contractors are laying cables for communication between ITER and the French transmission system operator RTE (Réseau de transport d'électricité). For the moment, the electrical needs of the ITER buildings and the worksite are covered by a 15 kV line extended from the neighbouring CEA research centre. 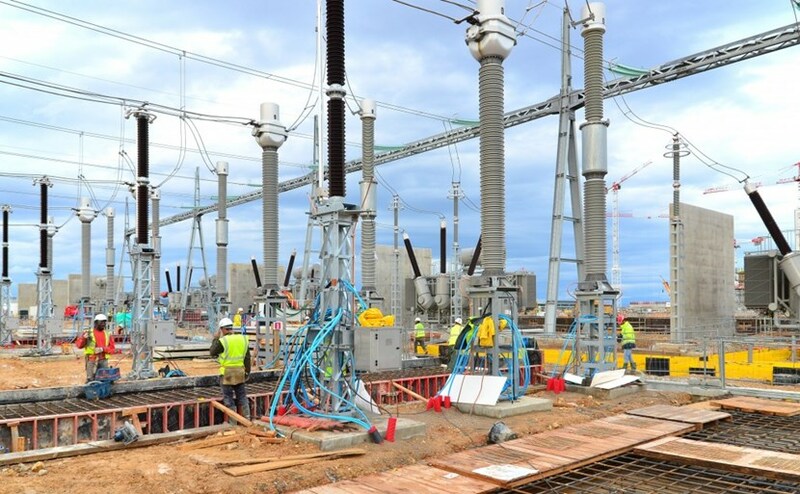 But early next year, the first part of the 400 kV switchyard will be "energized" and ITER will draw power directly from the national grid. Work is underway now in the switchyard and in the area of the transformers to prepare for this moment. Contractors are creating the concrete slabs that will support additional electrical equipment and laying cables for the switchyard's remote control operation and for communication with the French transmission system operator RTE (Réseau de transport d'électricité). "ITER power requirements are considerable and we must not disturb power distribution by the French national grid in any way," explains Joël Hourtoule, head of the ITER Electrical Power Distribution Section. "This means that we must 'exchange signals' with RTE and keep them informed of our plasma campaign schedule. In some exceptional circumstances—like an unexpected cold spell combined with several reactors closed for maintenance—they can ask us to delay a pulse." And like TGVs, ITER pulses will never be launched precisely at the hour when European networks are synchronized ... rather a few minutes before or after. Mega infrastructures and delicate balance: electricity, especially at ITER, is about more than meets the eye.